Those bridges in Jefferson County were built for a future 4x4 setup. I doubt it will ever need it, but at least it is somewhat future proof. It's especially helpful when trucks are excluded from the leftmost lane. Thankfully there aren't any elevation changes of significance between Little Rock and Memphis. There's not many things more aggravating than 2 trucks running a moving roadblock for 5-6 miles, especially when the speeds drop below 50. A small piece already exists across the state line, so I say finish the damn thing! If Interstate 69 is not built along its proposed alignment from Memphis to Texas, other routes should be considered. Maybe it could follow US 61 to Interstate 20; Interstate 20 across state to Shreveport; Shreveport to the existing Interstate 69 in Texas. Follow US-61 clear down to Vicksburg and then I-20 across to Shreveport? That's an even worse, even longer distance "L" shape than the idea of having I-69 follow US-82 across Southern Arkansas. Putting that much mileage of I-69 within Mississippi is a non-starter anyway considering the state's finances. The proposed stretch from Tunica to Benoit would probably be one of the last segments between East Texas and Memphis. Vicksburg is another 70 miles South of the proposed Great River Bridge crossing. I think chances would be better for the whole thing to get built if more of I-69 was in Arkansas. The route could take a more direct path toward Shreveport. If they scratched the Great River Bridge concept and moved the crossing farther North to either West Helena or (even better) just South of Memphis to patch directly into the I-269 loop it would leave Mississippi with less of a financial burden. You know what, that wouldn't be a bad idea! Especially if they threw in a spur over to I-40 to enable a southern bypass of Memphis over to I-22. That would pull a pretty large chunk of development over the river to the Arkansas side as well. Unfortunately, Arkansas isn't much better off than Mississippi, but we have taxed ourselves in the recent past to do some pretty big projects to elevate our standing a little, so after I-49/I-57, who knows? At the MS-304 termination at US-61 west of the I-69 flyover, the bridges over US-61 were built for a future 4 lane use. If there were no plans to ever have a west side bypass of Memphis, these bridges would have only been 1 lane in design and turned differently. I have never seen any plans/discussion for a west Memphis bypass on the Arkansas side, but this bridge design was clearly done in the event something is built in some future. IMHO, the end of MS-304 at US-61 near Tunica is really the most logical place to build a new Mississippi River crossing. I think development around the casinos in Tunica would blow-up big time if a new crossing was built there and attached up into I-40. It would probably take a lot of stress off those old I-40 and I-55 bridges. If I-69 in Arkansas was re-directed to a Mississippi crossing at Tunica the path of I-69 could still go from Shreveport to Monticello as proposed. But from the end of the Monticello bypass the path would go up to DeWitt, Marianna then go along US-79 for a few miles before going East over the river. This Shreveport to Tunica path would be about 270 miles. I think chances would be better for the whole thing to get built if more of I-69 was in Arkansas. I don't. ARDOT's having trouble finding funding as it is for I-49, the I-530 extension, and their already proposed leg of I-69. It's not going to be any better with more of I-69 in the state. If MS just can't come up with their share of I-69 funding (a distinct possibility unless a sea change in state revenue policy occurs), it wouldn't be surprising if Arkansas -- down the line of course, after I-49 and/or I-57 is well under way -- suggests a revisitation of the old "Dickey Split" -- or at least the west leg of that concept. The only problem with a De Witt/Marianna route is crossing the White River wetlands at the "fattest" point of the NWR along that river. Since one of the problems with the current I-30/40 commercial corridor is the Little Rock chokepoint, it would be conceivable that I-69 could come north from LA as currently planned -- but shift to the AR 530 corridor north to Pine Bluff, then follow US 79 from north of there to Clarendon, essentially duplicating 79's alignment through the NWR. From there the most efficient path would be to head right up to I-40 near Brinkley -- well east of the multiple bridges across the White and the north end of the NWR, where I-40 could be 6 (or even 8) laned east to the Memphis area to accommodate the additional traffic. In MS, I-269 would take over the I-69 alignment to Tunica (yeah, it ends in a spur; so does I-635 in TX and I-495 in NY!). If anyone complains about Fed money being used for Monticello-McGehee, consider it something like I-569, on paper only -- unsigned if ever built out. But all this is speculation only; how I-69 ends up is anyone's guess at this point. But I'd be willing to make a wager that there will be quite a few options on the table before plans for Shreveport-Memphis are finalized. The only problem with a De Witt/Marianna route is crossing the White River wetlands at the "fattest" point of the NWR along that river. The road would need to cross the White River and wetlands area near St Charles, upgrading the existing segment of AR-1 through there to Interstate standards. Such a thing would be do-able since St Charles isn't built up all over the existing AR-1 ROW. It could be widened relatively easily. But new bridges and some new berms would be needed. A little ways to the South a new bridge crossing over the Arkansas River would be needed. The existing AR-1/US-165 crossing at Pendleton could be upgraded or an entirely new crossing could be built a little farther West over a more narrow stretch of the river. I think the segment from Shreveport up through El Dorado, Warren and Monticello will (eventually) get built as proposed. 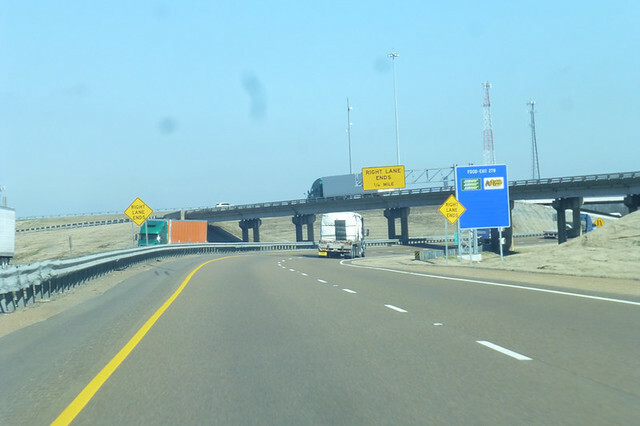 Sending I-69 up to Pine Bluff would require cutting off Monticello, if not Warren as well. Pine Bluff is a little too far North and West to really work as part of the I-69 corridor. It's not quite as bad an out of the way angle as something like sending I-69 clear down to Vicksburg to double up with I-20, but it's still not great. The out of the way bend I-69 has to take just getting to the proposed Great River Bridge crossing is bad enough. Regardless of the precise alignment, the central section of I-69 is going to be more than a little convoluted. The environmental/ACE requirements for a Mississippi River crossing (which resulted in the present site for the Great River bridge) render a large portion of the river functionally "uncrossable". But if AR would be willing to go to the expense of constructing the DeWitt/Marianna alignment as Bobby suggests (including any mitigation within the NWR), that may actually be a feasible alternative -- especially if the various jurisdictions can have a "meeting of the minds" regarding a 3rd Greater Memphis bridge down by Tunica. But as of right now, it doesn't seem like the plans to route the corridor through MS via US 61 have changed -- just put on what seems like infinite hold! And even if MS can't find the funding, the legal definition of the corridor (the HPC #18 language from 1991 and revised in 1995) would have to be legislatively changed before the corridor could be rerouted through eastern AR -- and it's more than likely MS interests (including the state itself) would engage in a major "piss & moan" session if and when the revised concept was forwarded -- which could have the effect of thwarting such a move. But anything concerning this portion of the corridor is still a bit fluid -- so, as I iterated upthread, stay tuned -- given time, anything might happen! Regardless of what happens with I-69, I think there is a significant chance (if not a really good chance) that a new Mississippi River bridge crossing will be built either North or South of Memphis before the Great River Bridge is ever built. I don't know how well the casino resorts in Tunica are doing. I have friends who have driven clear from Oklahoma to gamble there. I don't think they're going quite as often since the tribes here (and "white" companies associated with them) got into a kind of arms race with building new casinos. WinStar next to the Red River is the biggest casino in the nation in terms of square footage. If Tunica is doing well and adds more casinos, hotels, resorts, etc that would certainly press the need for building a new bridge just on its own. Never mind the bigger regional issue like giving long distance I-40 traffic heading for places like Atlanta a fast bypass of Memphis and its two obsolescent bridge crossings. Regardless of warrant or rationale, the simple fact is that any Mississippi River crossing will be a multijurisdictional project -- and I for one can't conceive of any three jurisdictions that are more likely to throw the proverbial monkey wrench into such a concept than AR, MS, and TN -- AR since it has a table full of other projects that would be prioritized in terms of both funding and timeframe, MS simply because it's perennially broke and has little chance of remedying that situation in the near term (and even if they were to attempt to raise taxes to fund projects such as this, they just may not have an adequate tax base from which to draw) -- and TN, which has a history of short-changing the Memphis area (this would only be applicable for a bridge north of Memphis) and otherwise procrastinating on projects. Unless a specific funding method for a bridge were to emerge (dedicated bonds for example), it's hard to see much impetus for a regional bridge project in the foreseeable future. With a Tunica crossing Tennessee would be cut out of that situation. Still, none of these Mississippi River crossings will be possible to build if the states involved have to shoulder the financial burden on their own. Without a great deal of federal help it has zero chance of happening. Big bridges like that cost too much for states to build them on their own. Even the Arkansas River bridge crossing at Fort Smith (a much more "modest" level project) ain't gonna happen without some serious federal help. That's why it keeps being pushed off indefinitely. The states can try to sell bonds or take other approaches, but I don't think it would ever be enough. I think the only realistic option without federal help is building a toll bridge. And even that might not work if the tolls are too high. If a motorist is looking at a $15-$20 fee just to cross a bridge he'll likely take another route. The whole "NAFTA Superhighway" thing was a federal idea when it was first proposed well over 20 years ago. The project was intended to complement the entire Interstate highway system, not be a bunch of itty bitty local projects strung together in a crooked, non-direct manner. Even if federal help/funding could theoretically be obtained for some of these projects I still think odds are good a Tunica crossing would get built before that Great River Bridge even though there are no concrete plans for it at this point. The whole "NAFTA Superhighway" thing was a federal idea when it was first proposed well over 20 years ago. It wasn't proposed at the Federal level, though...unless you want to count some of the local Congresscritters getting it into a later-approved bill (TEA-21, though it had its beginnings as two separate corridors in ISTEA) as "Federal" involvement. No...the idea came from politicians in some of the states involved. FHWA had zero to do with it until ISTEA was passed. The project was intended to complement the entire Interstate highway system, not be a bunch of itty bitty local projects strung together in a crooked, non-direct manner. Then those same Congresscritters who pushed to get I-69 included in Federal legislation should have figured out a way to pay for it. The "itty bitty local projects" is all the relevant state DOTs have been able to afford thus far. Mainline new terrain I-69 should at least run from Tenaha up to I-20. Widening I-20 needs to happen anyway, and I-69 could multiplex with it from that junction east to Monroe. From there I-69 could turn north and multiplex along the proposed interstate corridor to Monticello where it could turn east back on the I-69 alignment toward Memphis. Once Arkansas gets other higher priority projects finished, the currently proposed mainline I-69 could always be built north from I-20 and east to Monticello to eliminate the long multiplexes. Something tells me that building a "temporary" I-69 from Monroe north to Monticello to handle traffic from Shreveport is never going happen. Now -- if a N-S corridor functioning essentially as a southern extension of the AR-based "530" project (as suggested by multiple posters) would be conceived (and legislated into conceptual reality a la I-14 et. al.) from Monticello south to at least Alexandria, that'd be another story altogether -- but here, we're delving into the fictional realm for now. If it's going to be I-69, it'll stay the present course -- albeit on a very "relaxed" schedule -- at least while funding is eked out per current practice (and how state DOT's miss the chargeable days gone by!). If the proposed corridor from Monroe to Monticello is built before the proposed I-69 from I-20 north and east to Monticello, there is no reason why I-69 couldn't be multiplexed on I-20 and the new corridor to close the I-69 gap. But I-69 will have a gap until one of those two corridors gets built. My main point is that I-69 from Tenaha to I-20 east of Haughton needs to happen even if neither of the other proposals is ever completed. I checked the West Memphis MPO and they are mostly into what they call "bridge preservation" efforts. Most of the bridges in Crittenden County are at or near 50 years old and want to fund extended maintenance. Most of the rest are for grade separation projects for the railroads coming and going into Memphis proper. The only new construction was the extension of Loop Road south to Waverly Road. I did see planning dollars for I-55 widening to Turrell (I-555). You mean where I-40 EB (into West Memphis) drops to one lane?! I have long aregued that a new I-69 bridge is a wast of resources as a nrarly new one exist just south and that should be used instead. I think a new river crossing near Memphis is much more imperative followed by a new bridge at Helena before any billion dollar Great River Bridge folly. In fact, Arkansas should push for two new crossings at Memphis before spending a dime for that I-69 bridge to basically complete a western loop of Memphis. The much talked about West of West Memphis to Tunica corridor AND a I-55/I-555(Turrell to Jericho)to I-69/I-269 in Millington. This would connect Arkansas' super site and intermodal facility up more better for development.and would allow for the Old Bridge issues to be fixed. I contend that it is important to have two interstates running along each side of the Mississippi and double the bridge crossings connecting to two in case of a major seismic event along the New Madrid. Those bridges should have a rail component as well as all the eggs are placed in one very old basket at Memphis. Ark 1 is mostly 4 lane from Forrest City to West Helena. A new bridge there could make that a nice 4 lane corridor that would eventually be upgraded all the way to Batesville MS. I contend that this xiuld be the outer ring loop of Memphis using a combition of Ark 1, US 412,US 45 and US 278. I'd even rather see Future I-57 pushed down I-530 to Monroe i stead of buildi g the I-69 bridge and Arkansas focus on connecting Texarkana, El Dorado and Monticello with all divided highway. As I've said before, that I-57 could then follow US 165 all the way down to just east of Lake Charles. That would give three major Louisiana cities their second interstate and give those three cities I-69 traffic that they won't get with the current I-69. Once Louisiana politicians become aware of the prospect, it's going to be much harder to get them to abandon that idea for I-69 which benefits only the northwest corner of the state.